Yet another favorite layover....really are there any that aren't my favorites??? Lisbon is a fun city with lots of history and great weather!! USAirways only goes to Lisbon in the summer, so I have to take advantage of these layovers while we have them. 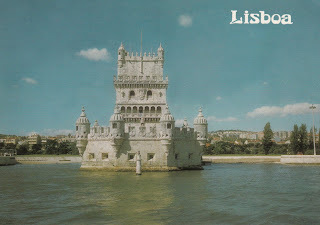 This is the Belem Tower, a symbol of Portugal's great age of exploration. 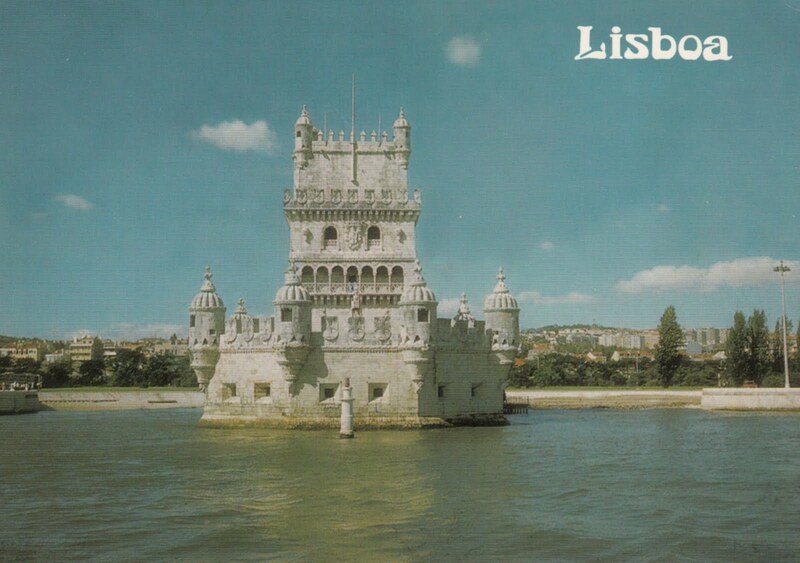 It was built in the 1500's as a fortress at the entrance to Lisbon on the Targus River and it is a Unesco World Heritage Site. 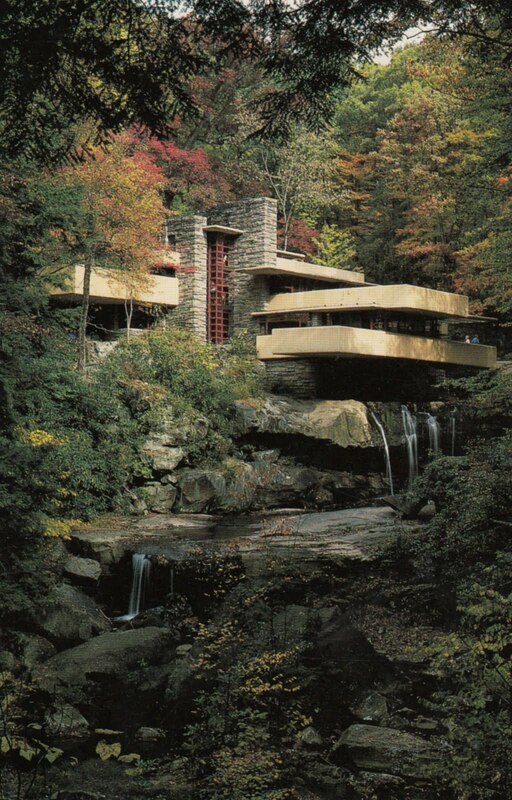 Another place that I have not been to YET! 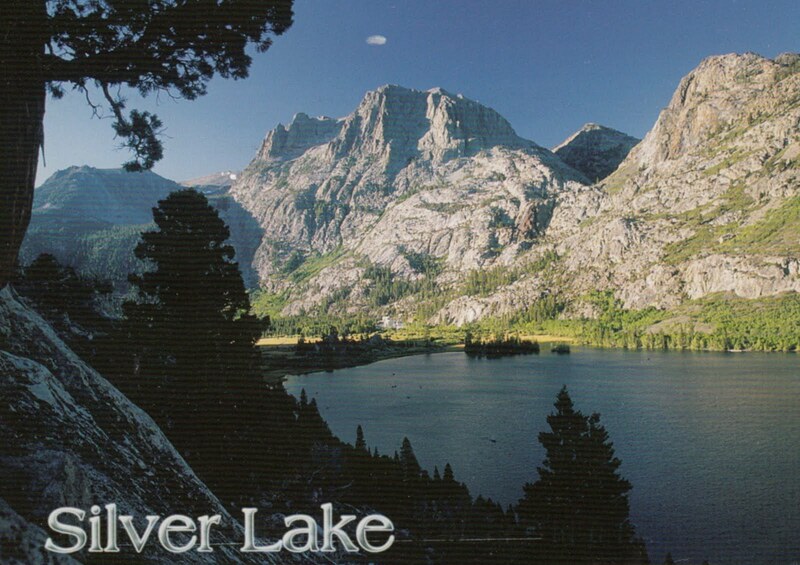 This card is from my Granny. I have visited several Frank Lloyd Wright properties all over the USA, but I have yet to visit Falling Water. I can highly recommend the book, Loving Frank by Nancy Horan. 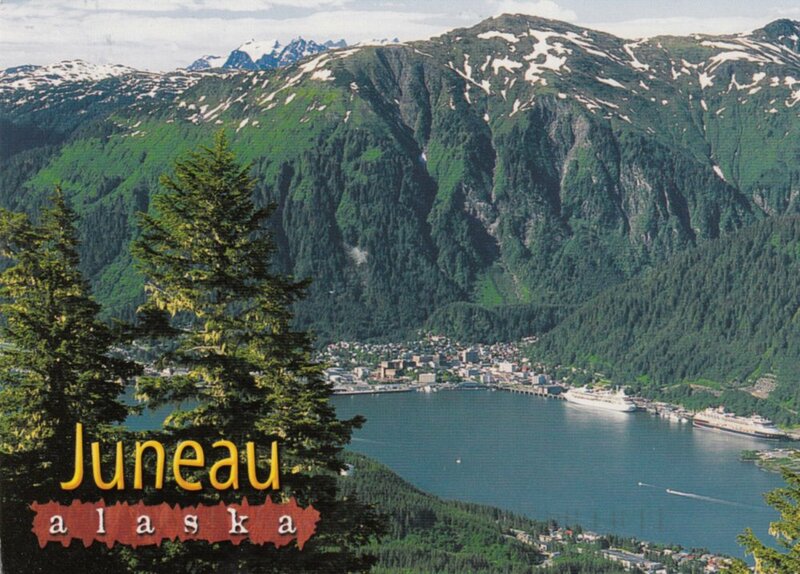 A postcard from friends of mine on a cruise to Alaska July, 2011. 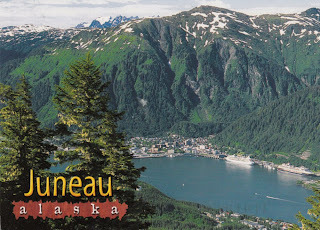 I still have not been on a cruise to Alaska, maybe next summer!! 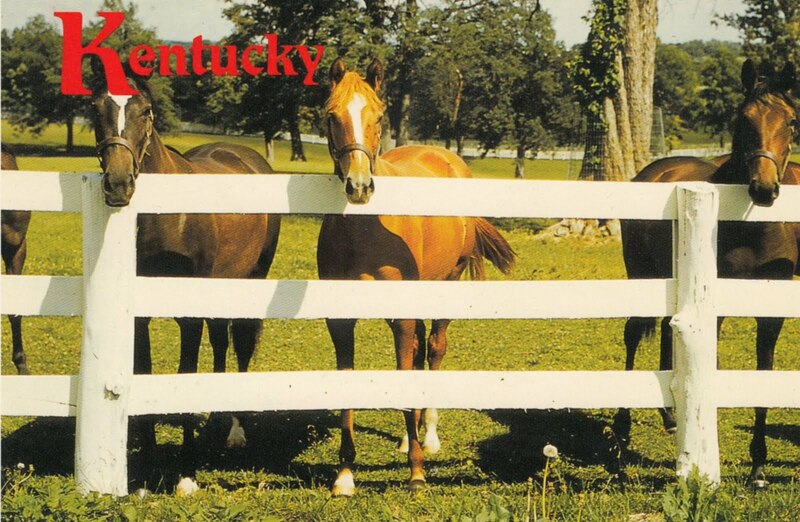 A postcard from a visit to Louisville, KY in 1991. Did your favorite win the Derby this past weekend?? My pick was Gemologist. 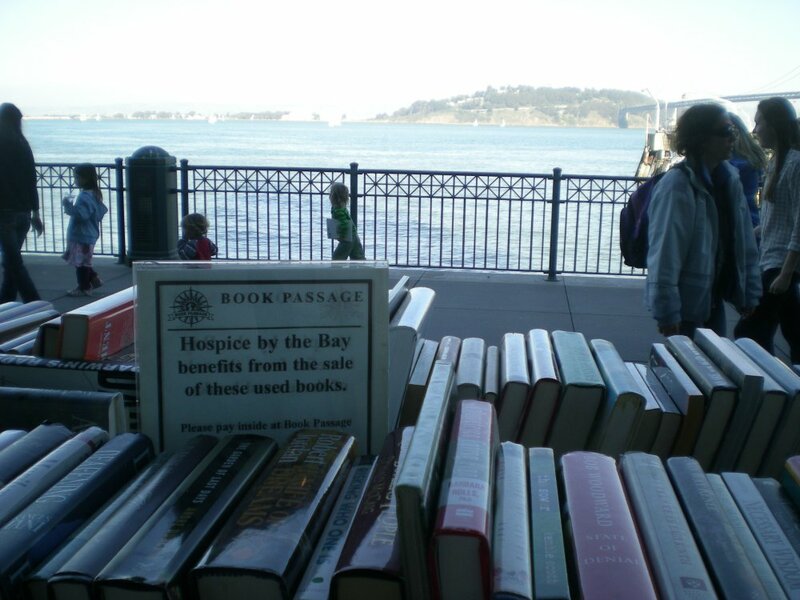 Books with a view! A used book cart at a store in the Ferry Building, Embarcadero, San Francisco. The Curse of the Spellman's by Lisa Lutz -more fun mystery, I read the first of this series in February and am totally enjoying these. They were recommended by my friend, Lea. The Good Thief's Guide to Vegas by Chris Ewan --I'm on a roll reading all of these! Below Stairs by Margaret Powell- A kitchen maid's memoir that inspired UpStairs/DownStairs and Downton Abbey. The Ultimate Hiker's Gear Guide by Andrew Skurka (library) This was actually Ryan's book and I did not mean to read it, but it was sitting on the coffee table and I would pick it up and found myself fascinated with it. Ryan and I have seen Andrew Skurka do a talk here in Seattle about long distance hiking. The House at Tynesford by Natasha Solomons (library) for fans of Downton Abbey and stuff like Sarah's Key. I really enjoyed this one about a Jewish girl from a wealthy Vienna family who is a refuge in England, her family sends her to be a house maid at a Manor house along the Dorset coast. No Angel by Penny Vincenzi (library) Downton Abbey fans, this one is for you!! I enjoyed it. The Crown by Nancy Bilyeau (library) if you can't wait for the next Phillipa Gregory about the Tudors! This would be a good one. I quite enjoyed it. Hour of the Hunter by J A Jance--Jance is always being recommended to me, I started this one, but did not get into it--it is still sitting around the house, but I do not know when/if I will get back to it. Hidden Star by Nora Roberts--found on airplane after I had finished all the books and magazines in my possession. Got home and threw it in the "used book store" pile without finishing it! !